Think all bacteria are bad for you? Think all bacteria are bad for you? Think again! There’s a special type of bacteria called probiotics, which may give your health and wellbeing a major boost. If you’ve never heard of probiotics—or if you have, but are looking for a deeper understanding—you’ll want to get The Benefits of Probiotics, read this article. 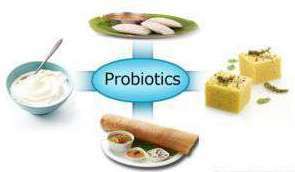 …how probiotics can improve your health and well-being. Scientists are finding that probiotics can be a powerful ally in the fight against a range of health challenges, including: allergies, arthritis, asthma, cancer, depression, heart disease, and gastrointestinal (GI) problems. And a recent study showed that probiotics can even help with weight loss! The guide goes over all of these benefits. …how you can use probiotics to target specific health conditions. Thanks to The Benefits of Probiotics, you’ll understand how different probiotics treat different conditions. For example, L.acidophilus has been shown to boost healthy digestion and immune function, while B. longum blocks unfriendly bacteria and yeast.